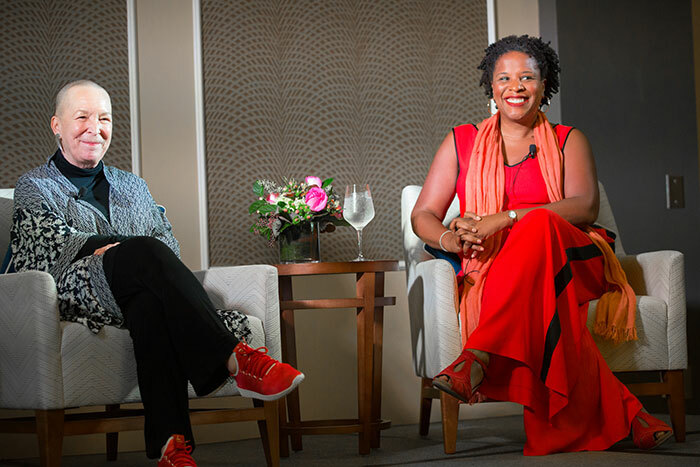 “SisterWriters” drew an appreciative audience to Emory’s Cox Hall ballroom to hear best-selling authors Pearl Cleage (left) and Tayari Jones discuss writing and mentorship. Jones, who joined the Emory faculty this fall as a professor of English and Creative Writing, explained how taking a creative writing course taught by Cleage at Spelman College helped shape her literary career. Asked what advice she would give to her younger self as a writer, “I think I would tell myself, ‘Relax into what you are as early as you possibly can,’ Cleage said. 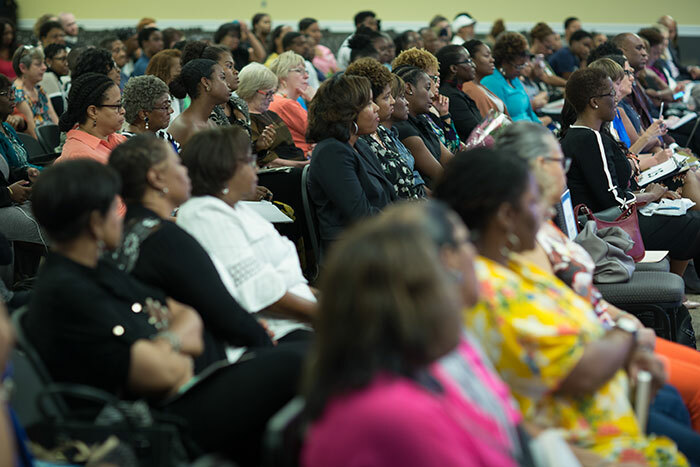 With the event filled to capacity, “SisterWriters” was also streamed via Facebook Live. After the discussion, Jones and Cleage took questions from the audience and signed books. 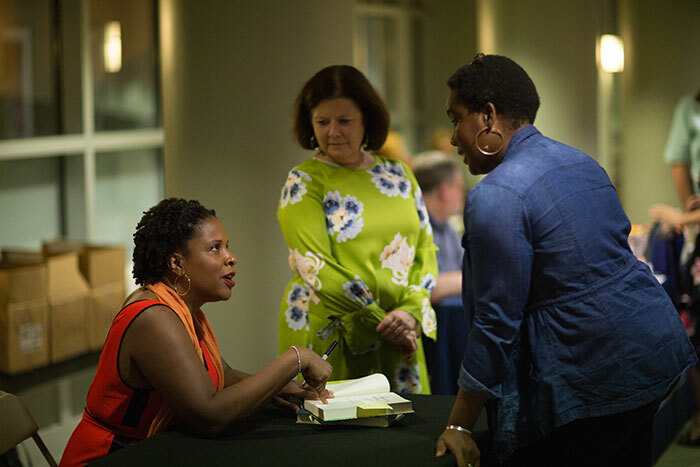 It was an evening of laughter, sisterhood and sound advice when authors Tayari Jones and Pearl Cleage sat down to discuss mentorship and writing before an appreciative crowd in the Cox Hall ballroom Sept. 27. “SisterWriters: An Evening with Pearl Cleage and Tayari Jones” was also streamed via Facebook Live. 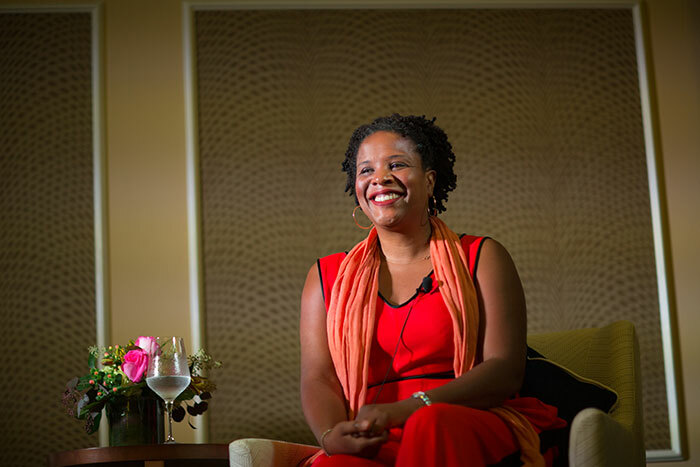 A New York Times best-selling author who joined the Emory creative writing faculty this fall, Jones is a graduate of Spelman College, where a creative writing class taught by Cleage — a Spelman alumna and nationally recognized playwright, poet, novelist and social activist — fostered a passion for writing that set the course for her career. Both are known for writing stories featuring strong African-American female characters set in Atlanta. Jones’ “An American Marriage” and Cleage’s "What Looks Like Crazy on an Ordinary Day" (also a New York Times best-seller) were both Oprah’s Book Club selections. Cleage, whose papers are housed at Emory’s Stuart A. Rose Manuscript, Archives, and Rare Book Library, has written 18 books and plays. Cleage’s collection also contains letters and postcards she and Jones exchanged over the years. With Rose Library instruction archivist Gabrielle Dudley moderating the conversation, Atlanta native Jones and Cleage, an Atlanta resident for more than 40 years, revealed they actually met years before their student-teacher relationship began: Cleage was friends with Jones’ parents. But Jones admitted she finagled her way into Cleage’s writing class on her own. The course was for upperclassmen, out of her reach at the time. “I had always wanted to be a writer, and she was a writer. I decided I had no choice but to — I think ‘forge’ is too strong a word — ‘approximate’ the signature of my adviser, allowing me to take the class,” Jones confessed as the audience laughed. 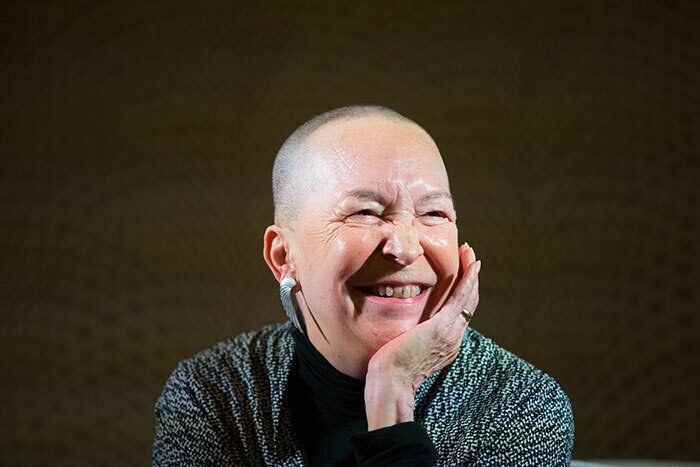 Jones, who like Cleage sets her books in Atlanta, said she’s often met with surprise that her narratives are not set in New York City or somewhere more cosmopolitan. “I feel that Atlanta has more opportunity for black women than New York does,” she said. As the two talked about their mentorship-turned-friendship (they’ve now been friends for about 30 years), Jones shared some of the many bits of the advice Cleage had given her over the years. Cleage said she was proud to be the first person to publish one of Jones’ short stories in a journal she edited – and to pay her for her work. “Pearl said, ‘You want to be paid for your writing, but you don’t want to have to write for money,’” Jones recalled. The two authors talked about the supportive sisterhood of black women writers. It’s also important, Cleage said, for women in general to encourage each other, to help and look out for each other, as “SisterWriters” do. Throughout their conversation, Cleage and Jones had advice that resonated with the audience, applicable not just to writers but to those in any career. In addressing what advice she would give her younger self as a writer, Cleage recalled being so worried about whether she had something to say or whether she could compete with other writers. “I think I would tell myself, ‘Relax into what you are as early as you possibly can,’” Cleage said. Jones and Cleage showed warmth and encouragement toward the audience members who asked questions at the end of the program. 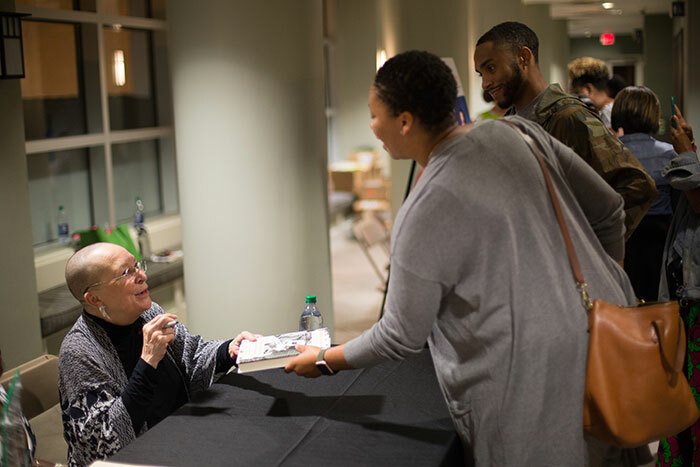 Many wanted to share their appreciation for the authors’ stories or ask for advice about the writing and publishing process; Cleage urged one woman with questions about finding a publisher for her completed book to meet with her after the program and book signing. Those in attendance said they thoroughly enjoyed the event.